Not that long ago, Google was just a search engine. Today, Google still has it's #1 ranked search engine, but they have expanded into internet based (cloud Computing) covering browser, communications, e-mail, photo, video, blogging and specialized searching of news, books, maps and more. Google has also expanded into productivity software with Docs, Sites and Groups. For the month of January, GCPCUG, Cleveland Digital Publishing Users Group (CDPUG) and the Web Development SIG are joining forces to cover as many Google products as they can, at their meetings. At our January 9th meeting, we will cover the Google products listed below. Note, the list is subject to change. Check back for updates. • Chrome - Google’s web browser is fast and minimalist. Soon it is going to be an operating system. See how it differs from Internet Explorer and Firefox. • Maps - Like its search engine, Google Maps has become the web mapping site of choice. Learn how you can quickly create custom maps for your needs. Also, how Maps is combined with databases to produce specialized maps. • Earth - The world is getting smaller and smaller; see how you can go around the world in 80 seconds. Then see how you can zoom in on specific spots and look at them in 3-D.
• Translate - The web lets people write in many languages, how can you understand what they mean? • Dictionary - Even when it’s in English, sometimes there are words, we may not know. • Flip - Google presents a new way of reading magazines and newspapers. • News - All the news, all the time, in one place. • Alerts - Are you interested in a specific company, product, person or topic? Have Google tell you when something new happens relating to that. • Gmail - Web based e-mail that can download into your e-mail program and has a great spam filter. • Wave - Many people use e-mail to share and work on projects. But it can be a very messy process. There ought to be a better way. Google Wave may be it. 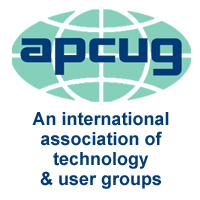 To see what the CDPUG and the Web Dev SIG are covering, go to their web sites.